When it comes to establishing a skincare routine in your 20s, it’s always important to know the basics. Though the hype of multistep beauty regimens is real, you don’t always need a complicated one to achieve healthy, glowing skin. Multihyphenate Bianca Gonzales is good proof of this. 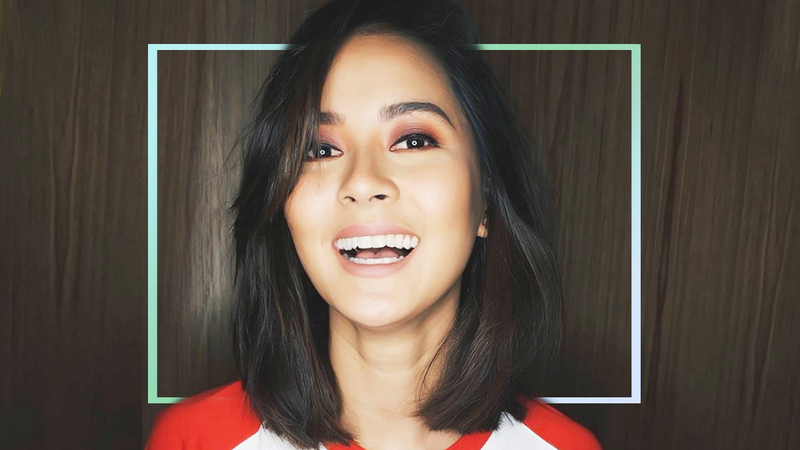 Her busy schedule as a successful TV personality and a mom taught her a thing or two about simplifying her beauty routine without compromising the benefits. Using a gentle makeup remover, sweep off makeup that cleanser and water usually can’t remove. “I use Sanicare baby wipes since they’re super mild on the skin,” Bianca reveals. Clean your face using circular or upward motions—constant tugging will cause your skin to sag—and make sure to give extra attention to the eyes to get rid of long-wearing eye makeup. After cleansing, Bianca uses a toner to restore her skin’s natural pH level. This step is very important if you have oily or dry skin, since cleansing and washing often dries up our faces. Put a few drops of toner on a cotton ball and pay particular attention to your T-zone, the part of your face with the most oil glands. Bianca loves using Sanicare’s cotton balls because their extra jumbo size lets you cover more facial area. Moisturizing is especially important at night when your skin renews and repairs itself. Bianca offers a nifty trick when doing this step: “Apply moisturizer while your skin is still damp from toning. It will help better seal the hydrating effects of your moisturiser.” However, avoid doing this when you face is still wet—the moisturizer will just slide off your skin. Proper moisturizing can also save you from the additional steps of applying face masks and serums. Improve your skincare routine with the right skin partners. For more information about Sanicare’s wide range of beauty products, follow them on Facebook. This article was created by Summit Storylabs in partnership with Sanicare.